An art show where all the artists are brown but it’s not like a big deal. London-based art collective The White Pube is putting on a show this Friday entitled “Zayn Malik Zindabad.” It will feature only South Asian artists. The show will feature around ten artists from all over the South Asian diaspora, with major showing from Australia’s artist community. The topics they cover range from identity to religion to film to literally everything else. The idea to present an all South Asian lineup of visual artists came from Muhammad’s frustrations with being a brown artist. She often found her art and its themes conflated with being South Asian, even if that wasn’t her goal. “If you are a brown creator and make things that are technically art, you’re a brown maker in a white art world. The things you make get squashed down,” Muhammad said over Skype. So Muhammad and de la Puente decided to flip the situation and make it all about ethnicity, leaving the audience to grapple with real themes that go deeper. “We just thought what if we did an all brown show? Where brownness was completely banal. It got to the point where asking ‘Oh, so this is about Indian-ness’ or ‘This is about being Bangaldeshi’ became a trite and ignorant thing to say because it’s all about that. So that’s dealt with. Done,” Muhammad said. 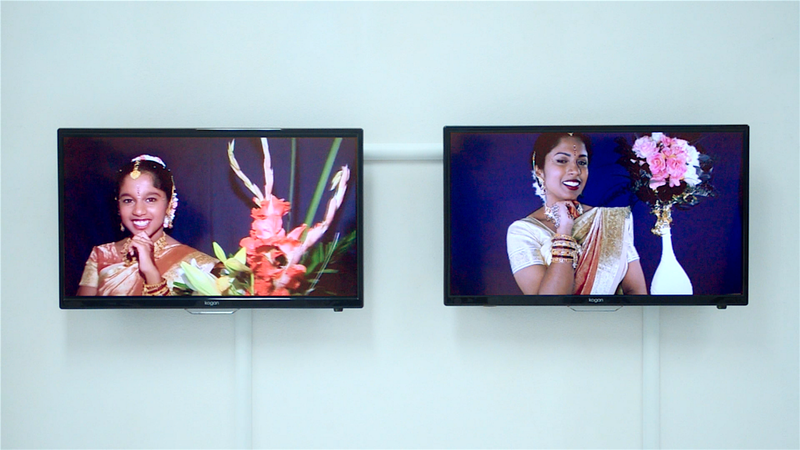 The work on show operates in a space between film and narrative documentary, engaging the audience visually and through sound. The White Pube, a play on the now defunct but still popular art theory that art is best viewed on white walls in a sterile space, started as an art critique site. Muhammad said she and de la Puente felt that there was an impenetrable academic perspective involved in most art critique that made it inaccessible for most people. In October, in their last year at St. Martins, the two launched a website and invited artists monthly to curate the entire site. It was like a living gallery that existed entirely online which everyone could access. The internet is still a largely wild art space since there are no clear parameters for what can be done with it. And its walls go on, seemingly, forever. Artists on the White Pube’s site have done everything from install experimental films to shower the site in floating icons to include moving text. Though they never made it explicit, all those featured on the White Pube’s site have been artists belonging to a minority that is disproportionately missing from the mainstream art world, be they artists of color, queer, or trans. “Zayn Malik Zindabad” will be happening this Friday at Lewisham Arthouse, in South East London. You can RSVP on Facebook. Muhammad has informed me that the screening will start at 7:30 pm on the dot, so you can’t be running on brown time if you’re trying to party with Zayn.